Long hair is a dream hairstyle to a lot of young women in the world. While watching a lot of animations with princes and mermaids with long hair, girls dream that one day they have such hair. But when their mothers try to comb their hair, they scream and run away. If you want gorgeous, mermaid-like hair, you have to learn how to brush it in the right way. However, it is not only important to brush your hair, you have to find the right way to do it considering your hair type, because something that is good for your type, may not be good for another one. 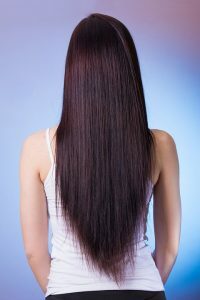 Here is everything you need to learn about brushing your hair according to your type of hair, and which mistakes in the hair brushing process you should avoid if you want to have beautiful hair. Remember: DO NOT brush your straight hair when it’s wet! Of course, this is the most common hair type in the world, and it is one that is very easy to brush. However, this does not mean that everything is allowed when brushing or combing your hair. One of the mistakes that straight hair girls make is to brush their hair when it is wet. 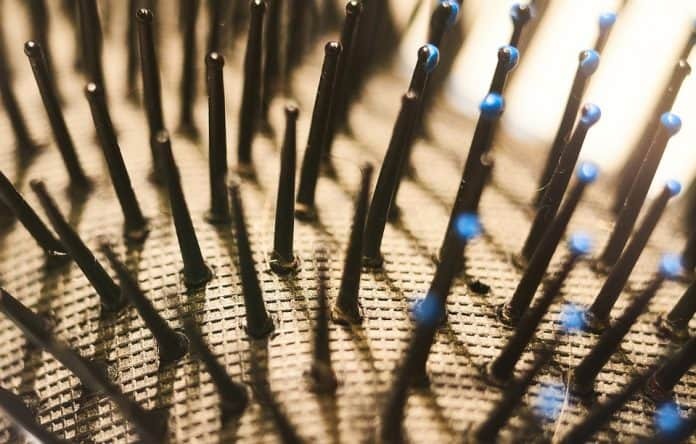 Your hair is made mostly of water, and when it is wet it becomes extremely fragile, so if you brush it or comb it when it is wet, you are not doing it a favor. The hairs start breaking and as a result you may have split ends. And if you cannot give up brushing your hair when it is wet, you should at least use a comb instead of a brush. This way the hair breakage will be relatively less. Another thing you should know when brushing your hair is to do this from an angle. This way your hair neat and softer. Women with wavy hair are lucky because their hair looks naturally as if a hairdresser has spent hours working on it. You can wear it the way it is without any special tools both on a casual or a more special event. However, this hair type is not so easily brushed compared to straight hair. You have to be careful and not use force while brushing or combing. The easiest way to do it is to comb your hair when it is wet. And remember, you should not brush it, you should always comb it so that your hair remains strong. When your hair is wet, the hair follicles get a little bit straighter and thus it is easier for you to comb them. Before combing, however, you should do one more thing, section your hair and comb it with fingers, or finger-comb it. You will prepare it for the actual combing and your hair will be less endangered of breaking off. There is one more trick that will be of your service when combing wavy hair: once you have sectioned your hair, comb it again in strokes. Hold the section of hair in the tips and comb the part above your hand with slow, but strong strokes. And guess what, you will not even feel any pain, which is one of the biggest problems girls with wavy hair have when they try combing it. This is the last, but the most difficult to comb type of hair, because of the curls. First of all, you should carefully choose the type of brush. For your type of hair, you need a brush with bigger bristles that are far from one another, because the further the bristles are, the more easily you will be able to brush, and your curls will remain beautiful and in shape. One of the mistakes that some women with curly hair make when brushing their hair is to brush it from the roots to the tips. This is a big no-no if you want to have strong hair, because when you pull the hair follicles from the root all the way down you will need a lot of strength to go through the curly locks of hair, and thus, you could snap it easily. And there is probably no need to remind you that this is not a healthy way to treat your hair. There is another thing you should do instead. Start combing from the tips of the hair, and when you reach a curl that you do not want to comb because you may ruin its shape, you will just stop and not comb it. 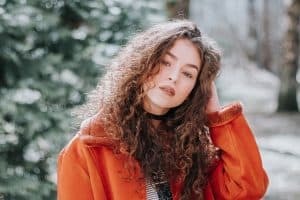 Some experts even recommend that curly women do not brush their hairs, but only to use hair conditioners and other kinds of hair products that will keep the hair well moisturized and will help you remove the dead hairs from the rest of the hair. You should also remember to trim it at least every three months. This way it want get tangled and you will not have to concentrate on brushing the knots.